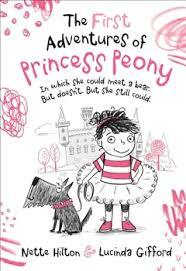 It’s time for some fun fiction for kids. This little cluster of Christmas inspired picture books is sure to generate a smile or two and plenty of sage head nodding, perfect for slipping under the Christmas tree. I adore the homegrown simplicity juxtaposed with the bustling busy detail Dawson’s illustrations project in this seasonal picture book. Saxby’s narrative is snugly woven to fit the meter of O Tannenbaum however instead of endless verses about pine branches, it’s the lines applauding classic Aussie Christmas lunching and community Christmas light displays that demand your cheery attention. 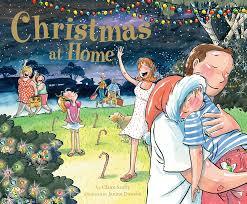 From decorating the tree and touring the neighbourhood streets in search of the most razzle dazzle to squeezing around the table and forcing down a feast, Christmas at Home is a jazzed up observation of a typical Aussie silly season enjoyed with those you love… at home. Oh dear, he’s back and behaving badly as per usual. Resounding full marks for this festive episode of the world’s most self-centred pooch. 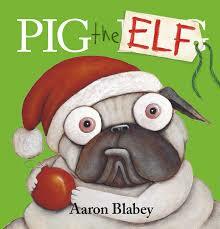 Pig the Elf is a hilarious cautionary tale of greed and arrogance vs compassion and gratefulness. 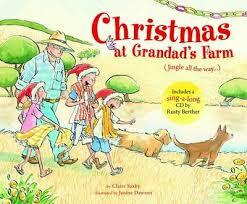 Blabey’s lilting and often times, cutting verse is almost of sing song quality, the carolling type no less (I had to hold myself back) and puts readers nicely in a ‘night before Christmas’ mood. Pig wants stuff for Christmas, lots of stuff and is not shy about slugging old Santa up for it. He does get his just desserts in the end although I’m not sure if he requested them as part of his kilometre long Wish List and I’m not altogether convinced he will mend his gluttonous ways; which I guess bodes well for future puggish adventures. Unbridled fun for pre-schoolers, pug lovers, and kids with Christmas lists that may warrant a hefty bout of structural editing. 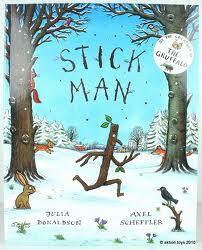 How can you not love a picture book with real snow and ice on the cover? Well at least that’s what the cover of the latest joyful instalment from Greenberg feels like. This type of tactile teasing instantly puts readers in the mood for some frisky frolicking about with Ruby, the naughtiest reindeer on Santa’s team. She and brother, Rudolf are bickering over sleigh-lead-pulling rights until Mrs S steps in and awards both of them poll position in the sleigh line up. Ruby however is having none of it. She swoops and swerves rebelliously, eventually causing sever upset and capsizes the sleigh. Stranded in Antarctica, Ruby has to overcome chilling reality and hostile penguins to make amends and deliver Santa’s presents on time. Greenberg’s rippling verse and super jolly illustrations transport young pre and primary school readers on a glorious special-delivery ride. Two front teeth. A hippopotamus. A visit from Old St Nick. Not a lot to ask for, so why not some relief from the crucifying clutches of drought? Jane’s Christmas wish is about to take on a dramatic realisation. She lives with her farmer parents in Australia’s drought stricken Outback. One day she makes the long trek into town to see Santa to place an extra special order with him. 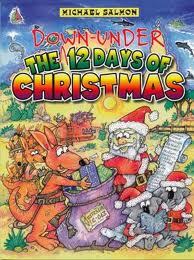 It’s not toys and presents that she yearns for as she counts the sun shot days down to Christmas morning. When it dawns, magic rains forth. Brooke’s soulful text expresses the exact type of childlike innocence that allows such magic to spill into our lives. 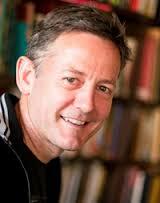 Believe, hope, and wish hard enough for something and it will eventually come to pass. If only that were true for our farmers. Still, this picture book sings hope. Forward’s stunning watercolour illustrations drag us from bone dry dusty paddocks into mud-splattered pastures. Her end pages depict the stark before and after contrasts that epitomises our harsh Australian climate with such eloquent beauty, it will make your heart dance for joy, too. At a time of year where in many parts of Australia, holiday cheer withers under the savage heat of summer, All I Want for Christmas is Rain is a timely reminder of the spirit of Christmas with a stout-hearted nod to those amazing Australians who feed us, the farmers. Evocative and poignant. 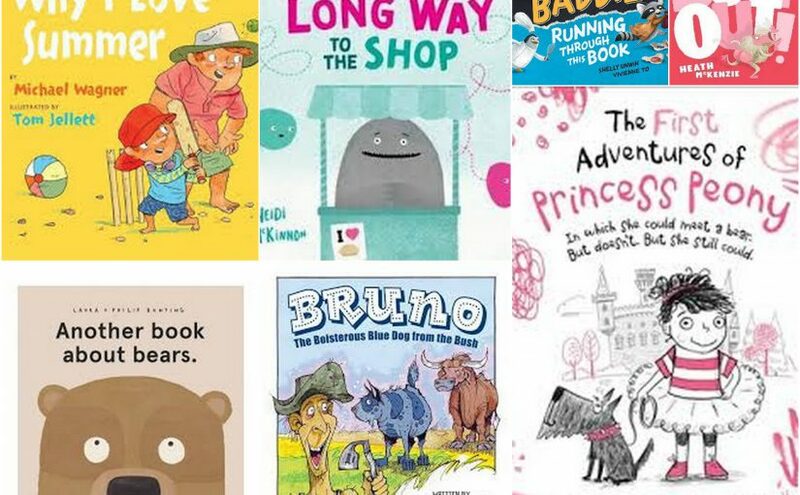 For more cool gifts for kids this Christmas check out Romi Sharp’s recommendations and Cait Drew’s list for older readers, or visit the Kids Reading Guide, here. As we romp ever closer to that special night of the year, don’t forget to take a moment or two to sit with someone small and share some magic. You never know, it may extend into a lifetime of golden memories. Today’s classics you’ve read with your kids starts out with multi-talented SE QLD writer, Nick Earls and despite his difficulty connecting with frost-bite and using the oven in 30 C degree plus weather to roast a traditional meal for three days, I believe is definitely on the right track with these all time favourites. Okay, Christmas. I have to admit it doesn’t take up a huge part of our library. 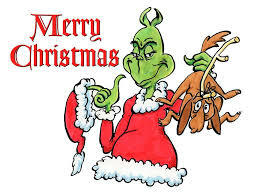 Maybe I’m more of a Grinch than I realised. 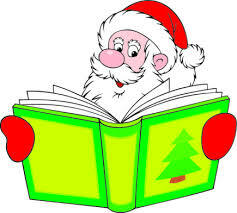 Books are big in our house – my son is five – and a dinosaur Christmas book could really get some traction. 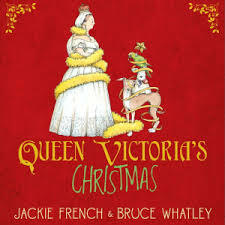 In lieu of that, I think we’re looking at Polar Express by Chris Van Allsburg and Stick Man by Julia Donaldson and Axel Scheffer. 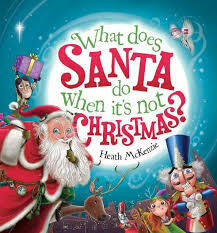 Perhaps Christmas books aren’t a big feature for us because we don’t connect with the religious side of it, or all the snow and cold-climate traditions? 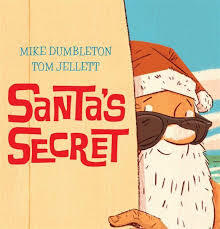 Next up, popular kids’ author, mad keen surfer and more than adequate tennis player, Pat Flynn shows us that we need look no further than our own glorious coastline for hilarious and meaningful Christmas inspiration, Aussie-style! 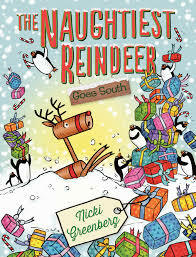 It’s that time of year again, and what would Christmas be without stories of snow and reindeer during sweltering nights? 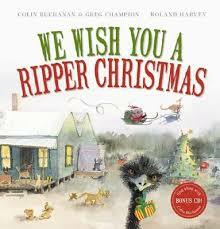 Fortunately, there are some Aussie Christmas books to reflect our experiences down under, and these tend to be the ones I read to my own children. Here are some favourites. 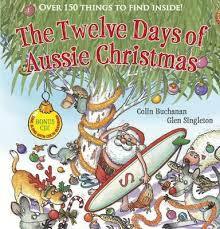 The 12 Days of Aussie Christmas by Colin Buchanan and Glen Singleton. 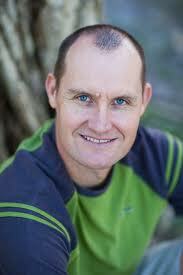 There is always plenty of detail in a Michael Salmon bo ok to help enjoy a second or third reading. 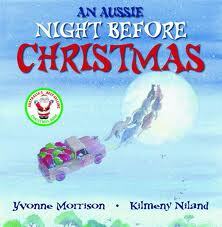 Any books that link Christmas with fairy bread and lamingtons are all right with me. Frivolous and funny. Applesauce and the Christmas Miracle Glenda Millard and Stephen Michael King. 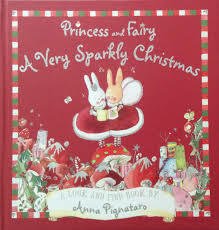 Beautifully written and illustrated, this book reminds us that while we’re often battling nature at Christmas time, we’re at our best when we help each other through the tough times. 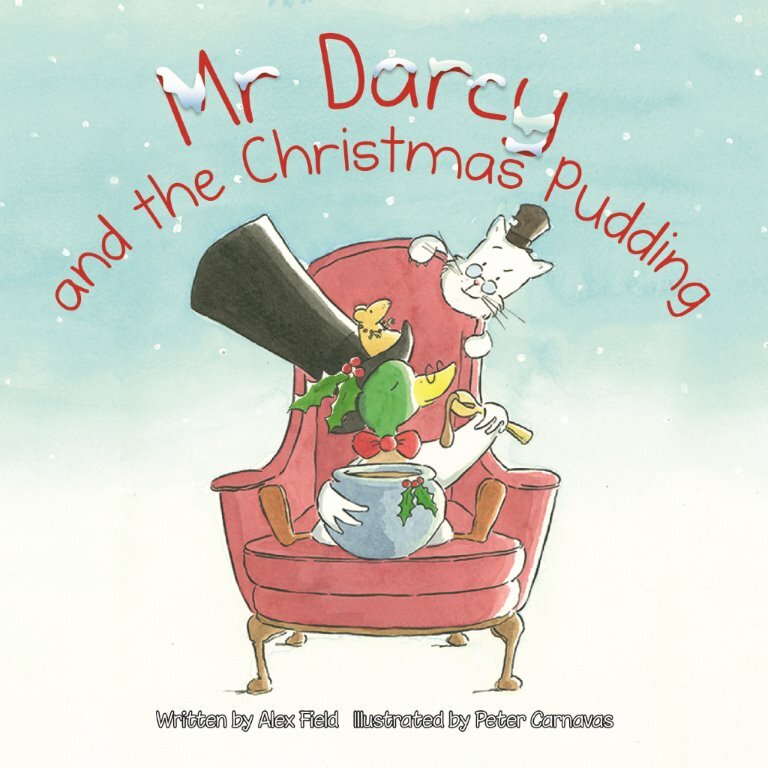 Mr Darcy and the Christmas Pudding by Alex Field and Peter Carnavas. Peter Carnavas is my favourite illustrator (mine too Pat, mine too) and this Mr Darcy Christmas book sees him having a quaking good time drawing Mr Darcy the duck, Lizzy Duck and her sisters.